Remembering that China’s ASEAN Silk Road must first travel through Laos en route to Thailand and eventually Singapore, it becomes absolutely geopolitically necessary for Beijing to do everything that it can to support stability in this key transit state. Reversely, from the American perspective, it becomes one of Washington’s most pressing geostrategic imperatives to either flip Laos over to the pro-American camp or throw its internal balance into such disorder that the railroad is all but impossible to build. The US would further its interests in both scenarios by either gaining proxy control over the critical Laotian Corridor (thereby nullifying the sovereign and strategic usefulness of the entire project) or creating the conditions for the ASEAN Silk Road’s indefinite suspension or outright cancellation. It can thus be argued that Laos is the bottleneck on which China now depends, being the mainland counterpart of the maritime Strait of Malacca and fulfilling a similar strategic purpose vis-à-vis Beijing’s ambitions in directly connecting to the Indian Ocean. Accordingly, while the Strait of Malacca is vulnerable to conventional military disruption by the China Containment Coalition (CCC), Laos is similarly susceptible to its asymmetrical manifestation via Hybrid War. Laos is a mysterious country that has never been fully understood by the outside world, despite the forefront position that it held during the US’ War on Indochina. Its people are inward-looking and always seemed uncomfortable being in the global spotlight, and the opacity that has pervaded since the Communist Party’s 1975 victory in the Laotian Civil War contributed to the dire lack of information about the state. 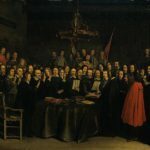 Although it’s difficult to get a handle on the specifics of what’s happening inside the country, it’s much easier to study the state from afar by examining its recent historiography. Some people may not expect such an approach to be very revealing, but the author argues that it can in fact provide sufficiently relevant information about Laos’ structural situation and is actually the only real option that interested observers have at their disposal. The following subsections are curated so as to touch on the most applicable aspects of Laotian history, framing them in such a way that the reader can receive a generalized understanding of the country which can then establish the appropriate foundation for further analyzing its regional significance and Hybrid War vulnerabilities. The French acquired Laos from Siam after defeating the latter in a brief 1893 war. Up until that point, Laos had been interlinked with Siam for centuries, and it is civilizationally affiliated with it due to the close ethnic, linguistic, cultural, and historical similarities between them. The modern-day territory of the country used to be the independent Kingdom of Lan Xang from 1354-1707, but even during that sovereign period, it still experienced a symbiotic relationship with Thailand’s political predecessors. Thus, when the French conquered Laos, they had in effect expanded their empire into a new civilizational sphere separate from the Vietnamese and Khmer ones that they had previously occupied. While the strategic opportunity certainly existed for the French to use Laos as a forward operating base for incrementally chipping off more pieces of Siam (in particular, the very closely Laotian-related northeast region of Isan), they opted instead to have it function as a buffer zone and largely ignored it from then on out. Laos never acquired any economic significance whatsoever for the French, remaining mostly a backwater buffer that was totally forgotten in terms of any potential socio-economic development that it could have theoretically received from Paris. The only time it ever really returned to the French consciousness was after Imperial Japan mediated the peace treaty that ended the 1940-1941 Franco-Siamese War and wound up giving part of its territory back to Bangkok. 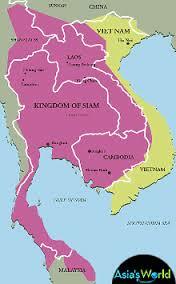 This was reversed after World War II and Laos was returned to its imperial and present-day borders. Laos gained its independence in 1953 but was immediately thrown into a brutal civil war between the Royalists and Communists, which thus turn it into a major Cold War hotspot. The 1962 Declaration on the Neutrality of Laos, signed in Geneva and agreed to by 14 separate states (the US, USSR, China, France, and the two Vietnams chief among them), was little more than a global public relations stunt, and the country’s civil war only intensified in the following years. The US, legally barred from conventionally intervening in the conflict, chose instead to launch the CIA-organized “Secret War” in supporting the government, training Hmong guerrillas, and killing Laotian and Vietnamese Communists. The result of Langley’s War on Laos was that the US dropped more bombs on the country than it did on Europe during the entirety of World War II, slaughtering thousands of people and leaving a legacy of unexploded munitions that still maim and kill civilians to this day. 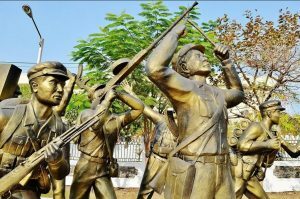 North Vietnam was instrumental in helping the Laotian people during this very trying period, and its Army helped to create and continually support the Pathet Laos, the anti-imperialist communist movement in the country. 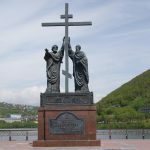 The shared experience of suffering and the glorious exploits of their battles forged a fraternal bond between the two peoples and their governments that has survived into the present day. 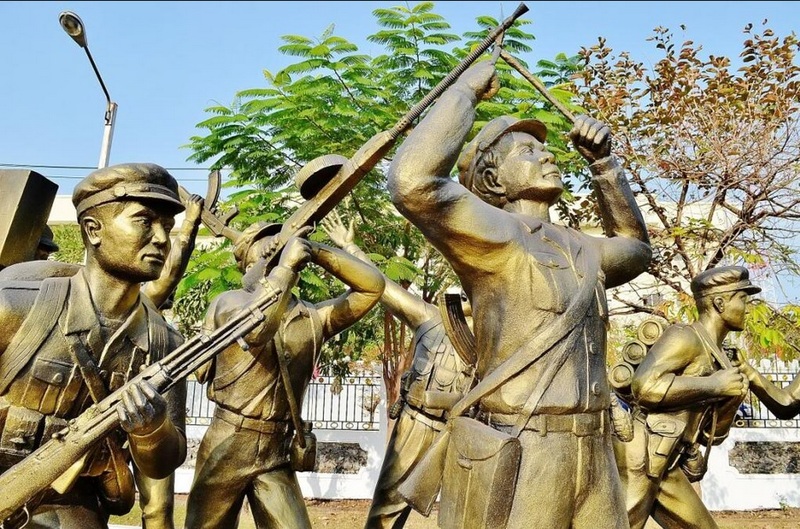 If it wasn’t for North Vietnam, it’s highly unlikely that Laos would have ever freed itself from the US’ clutches and emerged victorious in the civil war, marching triumphantly into Vientiane in December 1975 and completing the liberation of Indochina. 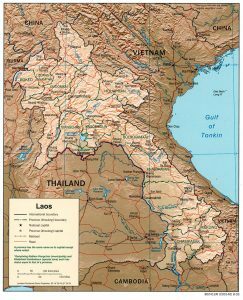 Laos and Vietnam signed the 1977 Lao-Vietnamese Treaty of Friendship and Cooperation which formalized the alliance between the two and allowed Vietnam to legally base its troops in the country. Being the loyal Vietnamese ally that it was, Laos froze relations with China in response to the Sino-Vietnamese War of 1979, thereafter making itself fully dependent on its eastern ally. 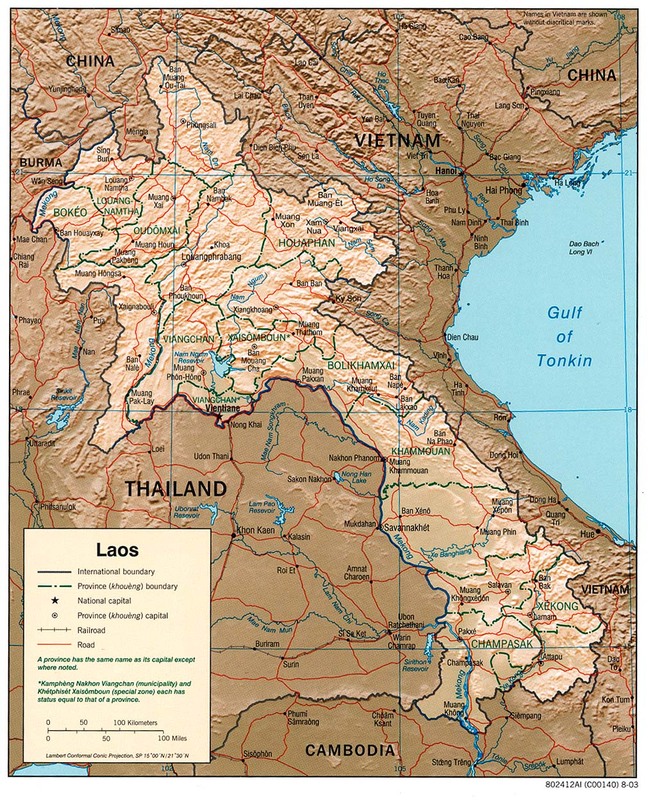 The USSR provided support to Laos during this time, but Vietnam was the geographical gatekeeper through which all aid had to pass, further underlining the controlling role that it exerted over all of its neighbor’s affairs. 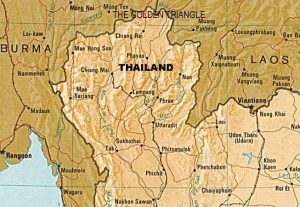 Laos also had tense relations with Thailand at this time as well, which boiled over into a short border war between December 1987 and February 1988. Taking all of these geopolitical factors into consideration, it’s accurate to assess that Laos had become one of the world’s most isolated countries by the end of the Cold War, with its only real access point for international interaction being via Vietnam, whether it be its physical territory or national airspace. The changing international and regional conditions that characterized the end of the Cold War led to the withdrawal of Vietnamese troops after 1989, although the political-strategic relationship between both countries and their communist parties remained intact. Laos rapidly moved to reestablish its relations with China and Thailand, entering into pragmatic economic cooperation with both of them and alleviating the earlier mono-dependence that it had on Vietnam. Laos’ historical-civilizational links with Thailand and the concentration of most of its population along the Thai border gave Vientiane a vested interest in connecting its physical infrastructure with its larger and more prosperous southern neighbor, ergo the four Friendship Bridges that have been built between them since the end of the Cold War. China’s new geostrategic interests in circumventing the nascent cordon zone that the CCC is constructing in the South China Sea and along the Strait of Malacca gave Beijing the necessary impetus to accelerate its relations with Laos and spearhead the ASEAN Silk Road, the high-speed rail network that it envisions will connect Kunming with Singapore and potentially even the Indian Ocean via a branch route in southern Thailand. The 2014 military coup in Thailand that removed the pro-American proxy leader created the amenable geopolitical conditions whereby China’s plans could securely and feasibly become a reality, and Beijing and Vientiane sealed the deal to construct the initial $6.28 billion section between them in November 2015. Curiously, it was right afterwards that a spree of killings, shootings, and other violent acts broke out in Xaysomboun Province, which previously was the site of the US’ Long Tien “Secret War” headquarters and had earlier come under a region-wide curfew in early December after “bandits” (as the government referred to them as) killed a couple of soldiers. January 2016 was a very influential month for Laos. For starters, the country was chosen for this year’s ASEAN chairmanship, thus elevating its profile to global proportions for the first time in its history. Former Vice-President Bounnhang Vorachith, thought to be favorably biased towards Vietnam, was appointed General Secretary of the Lao People’s Revolutionary Party, and the first foreign leader that he met with was John Kerry, who paid a pit stop to Laos as part of a wider Asian tour that would later take him to Cambodia and China. While there, the US’ top diplomat publicly announced that the Laotian Prime Minister issued a series of euphemisms that are commonly interpreted as being against Beijing’s South China Sea maritime claims, which the Laotian government interestingly didn’t confirm nor deny. What may have been a factor over the authorities’ ambiguous position on the matter is that two Chinese citizens were killed by a bomb attack and a third one critically injured in Xaysomboun Province the day before Kerry’s arrival, in what likely was an advance Hybrid War threat from Washington in pressuring Vientiane to get in line with the CCC or risk suffering even greater destabilization. Laos is clearly being caught up in a geopolitical mess which its leadership and people want no part of, but it’s centrally located position in mainland ASEAN and pivot state potential for China made it inevitable that it would get dragged into the New Cold War sooner or later. Of all the forces directly impacting on Laos at the present moment, China and Thailand are the most positive and pragmatic, whereas Vietnam and the US are the most disruptive and self-interested. Concurrent with this geopolitical rivalry, it mustn’t be forgotten that Laos has its own sovereign set of policies that it wants to advance, too. Before proceeding to an examination of the Hybrid War vulnerabilities afflicting the land-locked state, it’s useful for the reader to become familiarized with each regional actor’s interests in this multifaceted struggle so as to most accurately predict their behavior there during any possibly forthcoming destabilization. The Lao People’s Democratic Republic is the “cork in the bottle”, as former US President Eisenhower once called it, meaning that its prime geopolitical position allows the country and whatever processes are ongoing within it to affect the rest of the region. The government has come to understand this strategic precept and is thus endeavoring to transform what it had earlier though to be its stagnant land-locked detriment into a dynamic land-linked advantage. This ambitious strategy takes two complementary forms in the energy and physical infrastructure sectors. To address the first one, Laos wants to harness its enormous hydroelectric potential in order to become the energy-exporting “battery of Southeast Asia”, thus making it an indispensable partner in helping to power the larger and comparatively wealthier Thai and Vietnamese economies. 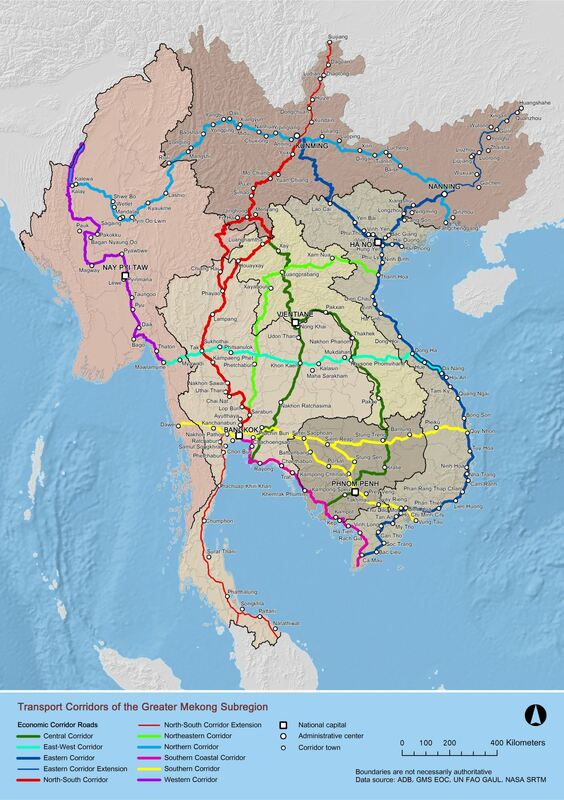 Per the second aspect, Laos provides valuable transit territory to two separate regional high-speed rail projects, the Chinese-financed ASEAN Silk Road and the Asian Development Bank- and Japanese-supported Greater Mekong Subregion’s East-West Economic Corridor (all of mainland ASEAN’s prospective transport corridors are mapped out here). The basics of Beijing’s project have already been discussed, but commenting on Tokyo’s, this route is planned to connect Myanmar’s fourth-largest city of Mawlamyine on the Indian Ocean (also a terminal on India’s ASEAN Highway) to Vietnam’s third-largest city of Da Nang on the South China Sea. 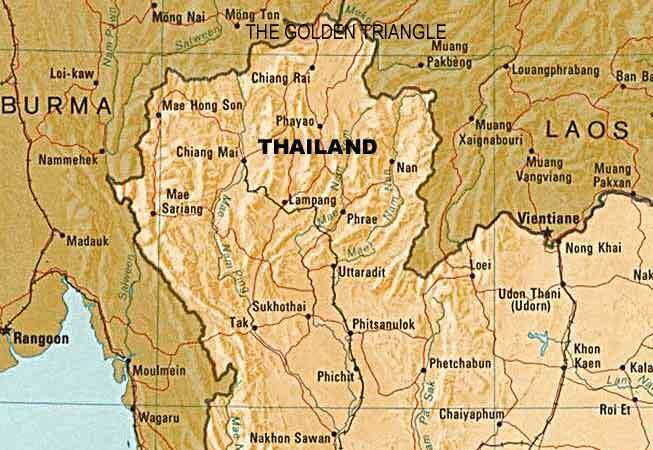 Of relevance, this project will intersect northern and northeastern Thailand before cutting across southern Laos. These two region-wide projects are not mutually exclusionary and can profitably co-exist within Laos, but the US would prefer that the multipolar ASEAN Silk Road be cancelled and Vientiane’s full priorities be shifted to focusing on the unipolar-facilitating East-West Economic Corridor linking together both coasts of mainland ASEAN. On a final note, Laos is very generously endowed with a plethora of mineral resources that includes gold, silver, copper, bauxite, alumina, potash, coal, tin, and precious gemstones. These buried riches are alluring to all sorts of global investors, but are especially attractive to those that are based in neighboring countries and who have easier and more cost-effective access to them. Whether its Chinese or Canadian companies that end up mining more of this natural wealth, the end result is that this industry is capable of attracting billions of dollars of investment and tangential development into the surrounding areas, bringing with it the potential for Laos to leapfrog out of least developed country status and achieve its goal of becoming a developing nation by 2020 if the expected windfall of profits is properly managed. Considering the possible influx of billions of dollars of mineral investment ($5.9 billion of which has already materialized), the country’s envisioned regional energy ‘superpower’ status as a major hydroelectric exporter, and the two transnational connective railroad projects (both unipolar and multipolar) that are planned to run through its territory, Laos objectively has quite a lot of potential to become a stable and prosperous state in the geographic center of mainland ASEAN. China’s overall interests in Laos were already discussed, and they deal primarily with the completion of the ASEAN Silk Road and the creation of a multipolar corridor to the Indian Ocean. Laos was chosen as the premier transit state over Myanmar and Vietnam because the former’s unresolved civil war and pro-Western government make it unreliable (as has been learned through the experience of the China-Myanmar Economic Corridor that will be described at a later time) and the latter’s generally hostile attitude due to the South China Sea dispute makes it untrustworthy. Laos’ role as a facilitative transit corridor to the Indian Ocean isn’t the only interest that China has in the country, since Beijing knows that if it can reach a strong enough degree of strategic partnership with its neighbor, then it could be able to influence “the battery of Southeast Asia’s” energy exports and indirectly increase its position over Thailand and Vietnam (with Hanoi being much more important to influence than Bangkok in the present framework). Furthermore, as with any Great Power, China has a natural interest in Laos’ varied mineral wealth, which might explain some of the more direct and immediate economic benefits that it hopes to attain from the ASEAN Silk Road’s construction through that country. Hanoi’s primary objective is to restore its late-Cold War influence over its neighbor and reestablish as much of the former mono-dependency that Vientiane had on it. It’s impossible to recreate the specific geopolitical and global conditions that isolated Laos and made it wholly dependent on Vietnam, but it’s much more likely that Hanoi could capitalize on its groundswell of existing soft power influence, political goodwill, and physical investments to give China a ‘run for its money’ in Vietnam’s ‘backyard’. From the perspective of the Vietnamese leadership, such a strategy is a symmetrical mainland counter-response to what it perceives as China’s “aggression” in the South China Sea, so it has every intent to carry through on this plan out of its self-understood national security priorities. The East-West Economic Corridor that was described earlier is the expected means through which Vietnam will launch its forthcoming influence offensive, and despite there being barely any dependable physical infrastructure connecting the northern and more populated capital region of Vientiane and its surroundings to the country’s rural southeast rail-transiting extremity, the Mekong River can be used as a riparian ‘highway’ of sorts to link the two regions. Along the same lines of Vietnam’s desire to increase its sway over its neighbor via economic means, it’s entirely predictable that it will seek to market its forthcoming membership in the TPP in the most favorable light possible so as to lure Laos even deeper into its orbit. If Vietnam is successful in its plans to have the East-West Economic Corridor (aided and abetted by the connective access that it has to the Mekong River and its upstream locations) become the prime access point for Laos’ international trade, then it will by extent make the land-locked country totally dependent on a TPP-member state, thus indirectly putting it under the US’ grand strategic control. This disproportionate and strategically vulnerable arrangement would make Laos much more pliable to economic blackmail and probably lead to its eventual incorporation into the unipolar-dominated trans-Pacific framework. By these means, the US would then be able to extend its institutional hegemony into the heart of mainland ASEAN and acquire control over China’s ASEAN Silk Road and all the trade that passes along it, that is, if the project is even still being built by that point and hadn’t been suspended or altogether scrapped. Like it was explained earlier, Thailand has deep civilizational links with Laos which prompt a mutual desire for enhanced relations, with the four Friendship Bridges (and the two more proposed ones) bearing strong testimony to this natural intent. The present Bangkok government is multipolar and aligned with China, and while not “anti-American” by any measureable standards, its antipathy to the former American-supported authorities combines with the latter two policies in making Thailand a prime target for Washington’s forthcoming regime change efforts. This will be discussed later in the research when directly addressing the Hybrid War vulnerabilities of Thailand, but what’s relevant to mention at this point is that the reimposition of a pro-American government in Bangkok could lead either to the suspension or cancellation of the ASEAN Silk Road, or perhaps even to its use as an instrument of blackmail against China, similar to how the China-Myanmar Economic Corridor stands to be exploited by the Suu Kyi government. 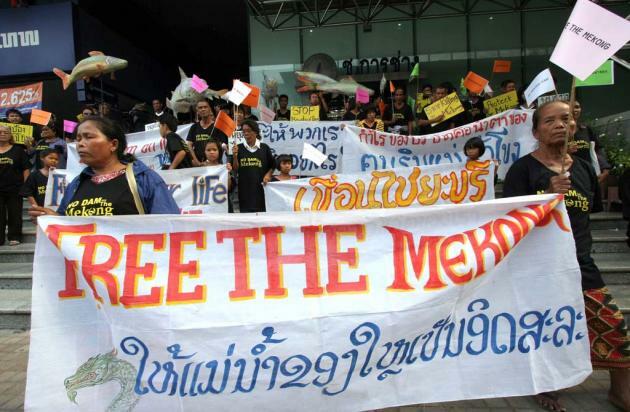 There’s also the possibility that Thailand’s new authorities could enact negative pressure on their Laotian counterparts in pressuring them to stop their segment of the project. Another thing that they could do is host anti-government militant camps (probably focused on the Hmong but theoretically including any number of the country’s ethnic minority groups) and return to being the center of anti-Laos destabilization that it once was during the US’ War on Indochina and the “Secret War”. To return back to the cases of strategic blackmail that were mentioned as occurring in present-day Myanmar and a future pro-American Thailand, if both of these scenarios come to pass and remain as geopolitical constants, then China’s strategic goal in forging mainland trade routes that evade the US’ unipolar maritime influence (such as is being centralized in the South China Sea and already exists in the Strait of Malacca) would be totally nullified, leaving Beijing indefinitely dependent on Washington’s “good will” and reinforcing Chinese decision makers’ fears of American CCC encirclement. The mainland Eurasian Silk Roads would still be formidable spokes in China’s supercontinental economic vision, but without reliable non-unipolar-controlled access to the sea (aside from the prospective Gwadar project along the China-Pakistan Economic Corridor, which itself has its own fair share of challenges in becoming operational), China could potentially be cut off from the East African economies that it pressingly needs to interact with in order to sustain its stable growth. With all of the above being considered, Thailand reveals itself as occupying a premier geopolitical position in this entire arrangement, which is why it was originally forecast back in the beginning of the book as being the most regionally impactful of all the prospective ASEAN Hybrid War scenarios. This will of course be explored more comprehensively later on, but maintaining the focus on Laos for the moment, it should be understood by the reader that Thailand is the single-most important regional state actor in effecting potentially negative influence on Vientiane, and that it can do so on a state-to-state basis or by supporting rebel groups. Both scenarios represent the fulfillment of the US’ envisioned Lead From Behind role for Thailand, but so long as the present government or its successors retain their country’s new geopolitical trajectory and synergetic strategic partnership with China, then the unipolar plans will amount to naught and the multipolar ASEAN Silk Road could still be completed and maintain its original purpose. The last part of the research looks at the myriad of Hybrid War scenarios that could predictably break out inside of Laos. The country is deeply afflicted with both Color Revolution and Unconventional Warfare threats, and the only factor holding everything together and maintaining stability is the military, which itself might even end up pulling a coup under certain conditions. Although it doesn’t seem at all probable at this time, a major situational disruptor would be if Vietnam is invited by the Laotian government to assist in putting down a menacing and potentially transnational Hmong rebellion, as that would eventually lead to Hanoi gaining direct military control over Beijing’s ASEAN Silk Road, provided of course that China doesn’t proactively deploy any conventional or private military forces to protect it. As can be gathered from above, the regime change organizers assumed that not only would they succeed in drawing naïve students into their marauding mob, but they specifically planned their operation to begin right after the Buddhist lent so as to lure more religiously minded individuals into their movement. It’ll be discussed soon after how the Buddhist factor could be exploited to become a major element of destabilization in Laos (as well as in Thailand and Myanmar, which will be discussed separately at the appropriate time), but for now, it’s relevant to make the reader aware that a successive “student”-organized protest sought to succeed where its predecessors failed and staged a repeat scenario one decade later in 2009. This one was also neutralized before it could enact any significant destabilization, although it did attract the coordinated attention of various “human rights” “NGOs” (likely informed in advance about the anti-government provocation) who then tried to spin its failure into a public relations spectacle designed to damage the reputation of the Laotian government. It will be an oft-repeated trope when discussing Laos’ Hybrid War scenarios, but because of the country’s opacity, it’s very challenging to assess the likelihood of another “student”-organized Color Revolution attempt being made, but judging by the progressive ‘openness’ that has occurred in Laotian society over the years (principally through educated- and foreign-based-compatriots’ access to the internet, social media, and pro-Western information portals and ‘activists’), it’s not at all improbable that a forthcoming push is being planned right now and could be combined with some of the other variables that will be discussed in order to achieve maximum anti-government effectiveness. 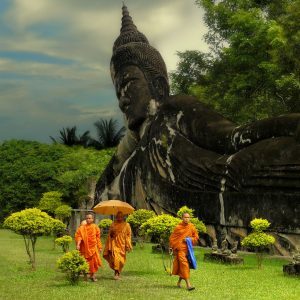 According to the Pew Research Center, 66% of Laos’ population professed Buddhism in 2010, making it the single-most popular belief in the country and ahead of the 30% of people who follow folk religions. Laotian historical and cultural identity (even amongst almost all of the many ethnic groups in the country, which itself will be addressed later on) is deeply connected with the Theravada Buddhist faith, and herein lies a major factor of convergence that it shares with neighboring Thailand and Myanmar. The research has yet to elaborate on Myanmar’s hyper-nationalist Buddhist organizations such as the Ma Ba Tha, but to bring the reader up to relevant speed, this group and others like it are identity extremists that exploitatively fuse religious sentiment with ultra-nationalist ideals and are easily guided into committing Color Revolution violence. The same template that was applied in violently stoking up hyper-nationalist Buddhist violence in Myanmar against the Muslim “Rohingya” of Rakhine State could foreseeably be used the same way in misleading Buddhist Laotians into carrying out attacks against the areligious Chinese workers, businessmen, and immigrants that will predictably move into Laos during and after the construction of the ASEAN Silk Road. The exploitation of hyper-nationalist Buddhist violence is actually a transnational threat that afflicts all three of the Hybrid War-forecasted countries of Laos, Thailand, and Myanmar, and this point will be emphasized near the end of the ASEAN research. 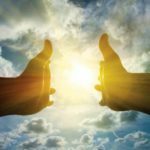 For now, however, it’s useful for the reader to simply keep in mind that Buddhism has a magnetic pull in gathering large amounts of people in each of these countries and creating the critical mass of ‘human shields’ that Color Revolution provocateurs need to hide behind in order to most effectively carry out their planned destabilizations. Laos has a much smaller population than either of the other two aforementioned states, meaning that a radical Buddhist-organized anti-government “protest” of a few thousand followers which would otherwise be a small-scale event in terms of the regional perspective could disproportionately impact on the centrally positioned country’s stability, especially if even a handful of these individuals attack the authorities or try unleashing an anti-Chinese pogrom. The media-manipulated and out-of-contextualized image of communist security services physically responding to “peaceful Buddhist protesters” could easily be used as ‘misinformation kerosene’ to fan the flames of regime change sentiment inside Laos and abroad, and could also be proffered as the “proof” needed to enact unilateral sanctions against the government. The trend throughout all of Indochina is that the nascent labor movement could function as a front for certain Color Revolution elements to mobilize the masses, inflict damage on strategic industries, and destabilize the state. To reiterate what has previously been written, labor unions in and of themselves are not vehicles for regime change plots and inherently nefarious organizations, but they can be systemically disruptive in countries unaccustomed to their presence and activism, even more so in the event that they’re commandeered for externally directed political aims. Laos is no exception to this subregional paradigmatic threat, although it has yet to experience a large-scale labor disturbance. What’s discernably developing in Laos is a two-tiered labor system whereby foreign workers (the majority of which will probably be Chinese in the near future, if they aren’t already) from foreign firms have the likely potential to occupy the best-paying and most prestigious positions in many of the country’s growing sectors whereas local workers are relegated to working “grunt positions” for lower wages. The problem is obviously more complex than it superficially appears, but to the average citizen that’s experiencing this type of divide, especially through the prism of their communist education, it can be a source of personal frustration and make them likely candidates for joining an underground labor union or a rare labor protest. Remember, this isn’t necessarily a bad action, but if the labor union and/or its affiliated protest organizers have been co-opted by a regime change group, then this means that they can easily exploit the well-intentioned individuals who take part in their movement. Furthermore, locals that are displeased about the situation concerning foreign workers in their country are susceptible to the religious-nationalist rhetoric that might be espoused by a forthcoming Myanmar-modeled Buddhist “protest” organization. It also doesn’t help that a Vientiane-based Chinese potash company withheld some of the locals’ salaries early last year, thus sparking a very brief and exceptionally rare protest. The government doesn’t acknowledge that the incident occurred, but considering some of the management errors that Chinese companies have made abroad in the past, it wouldn’t be entirely surprising if it did in fact happen. Should there be any repeats of the scenario where a Chinese-owned company is mistreating its local Lao workers, possibly punctuated by the visibly better situation that foreign (Chinese) workers probably enjoy, then it’s conceivable that the (underground) labor rights movement that might organize around the issue could quickly take on an ultra-nationalist and anti-Chinese character, thus generating plenty of hostile social capital that could thenceforth be geared towards regime change ends. The last group of actors that could realistically involve themselves in a future Color Revolution in Laos are environmental NGOs and their local followers. To be clear, many of these groups are not “non-governmental” but are “government-organized NGOs” or GONGOs, and the risk is that these political GONGOs are masquerading under the guise of being environmental NGOs in order to more freely pursue their strategic aims. Laos has recently caught on to this gimmick and has thus emulated Russia in carrying out scrupulous NGO legislation designed to pinpoint and sanction transgressive organizations, but despite this, some analytical commentary still needs to be said about this threat. The environmental NGOs galvanize around the two main issues of hydroelectric dams and factory pollution, both of which together have the potential to involve most of the country’s population. Traditional NGO canvassing, organizational, and protest activities inside of urban centers are already well known, although the final portion of this “non-state” triad is noticeably missing from Laos. What’s less recognized, however, is that the aforementioned environmental NGOs are also operational in the rural and identity-rich countryside due to the specific nature of their work (especially in the case of those that are against the hydroelectric dams). Most outsiders have barely any substantiated knowledge about the ethnic, tribal, and regional relations that exist outside of Vientiane and a few of the other larger cities in the country, but the NGOs are in a prime position to conduct valuable field research under the cover of their “social-environmental” work. In a perfect world, there wouldn’t be any problem with this, but Western intelligence agencies could effortlessly exploit the “plausible” cover and access that “environmental NGOs” have in interacting with the inhabitants of the Laotian hinterland, thereby allowing them to carry out field reconnaissance, mapping, general intelligence gathering, cash payouts, “resistance” organizing, and the spreading of anti-government information messages (whether in print or just orally). Looked at from this strategic perspective, the rurally active “NGOs” in the country are perhaps the greatest Hybrid War threat that Laos actually has because of the access that they have to the country’s ethnic minority population and the potential that they could exploit the ‘plausible’ cover of their professions to organize Unconventional Warfare fighters. They’re the connective bridge that would tactically link the rural and urban elements of any forthcoming Hybrid War scenario in Laos, as they have the realistic capability of organizing varying degrees of destabilization in each respective area of the country. In the cities, all that they have to do is link up with the other Color Revolution elements and connect their established on-the-ground networks into a larger politically oriented front organization at a prearranged point in time, and in the countryside, they could easily agitate the rural population to engage in aggressive and violent “protests” against the foreign-owned “polluters” (whether in fact or in myth) and the hydroelectric dams. 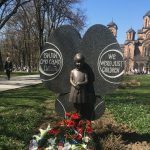 If synchronized to the right degree and preplanned in the proper fashion, then the simultaneous launching of an urban Color Revolution and a rural Unconventional War would lead to an utterly devastating Hybrid War scenario that could quickly cripple the country and throw Laos’ entire future into limbo. Laos’ heightened susceptibility to Hybrid War stems from the ethno-regional differences of its population, which theoretically could turn into a cauldron of conflict under certain manufactured conditions. Out of all the groups in the country, however, it’s most foreseeable that the Hmong minority would take the forefront in any forthcoming anti-government insurgency due to the historical relationship that they’ve enjoyed with the CIA and the bastion of support that they have among their diaspora community in the US. Alongside these identity-based factors of potential destabilization, random riffraff such as drug gangs and mercenaries could turn an already complicated situation more complex and help fuel the cycle of violence that the US would need to provoke in order to achieve its broader anti-Chinese mission in Laos. As it stands, the Asian Development Bank cites institutional sources in the Laotian government as stating that there are between 47-49 recognized ethnic categories and 149-160 subgroups. Ethnologue, a prestigious online linguistic publication, lists the country as having 85 different languages. Instead of demarcating each separate ethno-linguistic group’s territory, the government uses a novel “terraced” approach in broadly categorizing the population as belonging to one of three geographic regions – lowland, midland, or upland. According to the International Fund for Agricultural Development’s 2012 report, 68% of the population lives in the lowland areas near the Mekong River, 22% are in the rural and southern midland regions, and the remaining 10% are in the northern mountainous territories (represented most prominently by the Hmong). It’s very plausible that most of these groups other than the Hmong are not aware of their particular ethno-linguistic “separateness” to the majority lowland-dwelling Lao in the sense of wanting to agitate against them, but that doesn’t imply that they can’t be externally pushed into accepting such a geopolitically convenient ‘conclusion’. Identity conflict between these disparate communities might be entirely foreign to them and have to be ‘taught’ and ‘provoked’, ergo the tactical usefulness of “environmental NGOs” in going into the countryside and subtly canvassing such ides to the local villagers. The intent might be something as short-sighted and simple as getting them to attack the authorities or a neighboring community and provoking a destabilizing bloodbath, or more foresighted and complex such as setting the foundations for an easily manipulatable post-conflict “ethno-linguistic federalism” such as what’s already occurred in South Sudan, seems almost imminent in Nepal, and might be on the horizon in Myanmar quite shortly. Regardless of how it starts and for what reasons it occurs, the guided self-awareness that some of Laos’ disparate communities achieve and the outbreak of violence between them would signify an existential threat to the People’s Democratic Republic and throw its entire internal arrangement into jeopardy. Until now, the only identity conflict that persisted after 1975 has been focused on the Hmong and the low-scale violence that some reclusive armed groups have inflicted, but by and large, the communist ideology, the “terraced” ethno-regional internal categorizations, and the military have kept the peace for over the past four decades. All of the structural successes that the government has thus far achieved could rapidly unravel if a coordinated identity “uprising” and/or significant scale of communal violence occurs, as that would undermine the very existence of the centralized mono-identity (“Lao”) state and could completely disorient the authorities if they’re caught off guard by this. It goes without saying that the theorized identity conflict would need to have at least some element of external material support to be sustainable (among other types of assistance), but if the “Secret War” is any historical indication, then the CIA is more than capable of providing this. Where matters get tricky, however, is that the amount of support that might be necessary would be very difficult to provide under the framework of current regional geopolitics, seeing as how the US doesn’t have a formalized presence in any country directly bordering Laos like it did during the War on Indochina era in Thailand and “South Vietnam”. 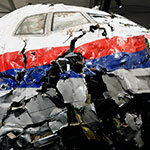 It could still smuggle weapons and other required supplies into the country, but just not on the scale that might be needed in order to safeguard against certain military-tactical contingencies. Without a regime change in Thailand or Cambodia, or a constellation of scattered covert bases in the former’s northeastern Isan region, the US would have to depend on transnational drug gangs in outfitting their regime change proxies in Laos. The research will return to this soon enough, but for now, it’s timely to talk about the Hmong factor in any possible Unconventional War. Hmong General Vang Pao, holding hands with Thai Army Chief Of Staff, Surakij Mayalab, overlooking Hmong-CIA headquarters, Long Tieng, Laos. To the left of Surakij Mayalab with shaved head is CIA case officer, Burr Smith. 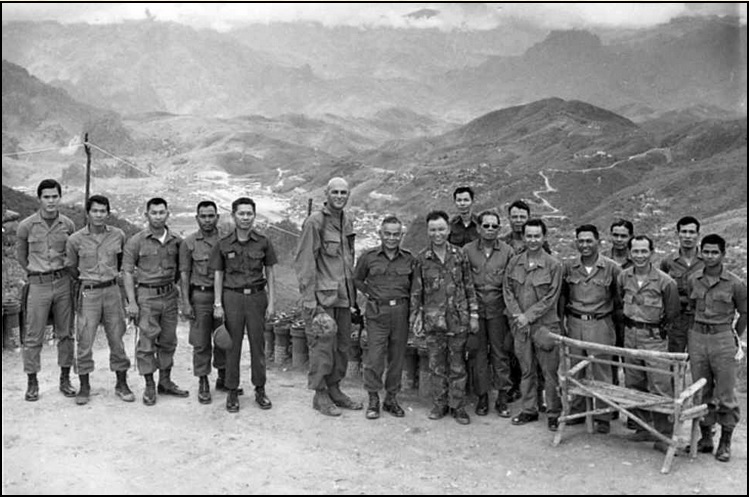 The rest of the men in the photo are Thai, from the elite CIA trained unit call PARU, or Police Aerial Reinforcement Unit, and Royal Thai Army, both of which served in Laos with Lao-Hmong forces. Photo taken circa 1969. The US’ intelligence and military apparatuses cultivated very strong relations with the Hmong during the War on Indochina, using them as a “behind-the-lines” anti-communist vanguard for carrying out missions in areas that American troops could not legally enter, such as in Laos and (North) Vietnam. This transnational ethnic group resides mostly in the mountainous northern areas of both of those countries and numbers around slightly less than half a million in Laos and a little over one million in Vietnam. After the CIA stopped its “Secret War” in 1975 and withdrew from Laos, it didn’t want to evacuate all of its Hmong collaborators and instead opted to leave a large number of them inside the country to face their fate. While seen at the time as an abandonment of close and loyal allies (which technically speaking, it definitely was), there may have been strategic motivations behind this unethical decision, namely to maintain a disruptive, armed, and identity-separate force inside the country that would fight to the death for their survival. While not directly under the command of the CIA anymore, they’d independently serve its strategic aims solely through their existence and the occasional disruption that they could produce inside the country. It’s implausible that the Hmong fighters could have lasted for over four decades without receiving some sort of supply refreshments, however infrequent, no matter if they were even just outdated ammunition. Considering this, they were probably resupplied by the drug gangs that operate in the “Golden Triangle”, with the culpability likely resting on one or some of the myriad rebel groups that operate out of Myanmar. The armed Hmong stragglers never posed a serious enough threat to Laos to warrant a concentrated campaign aimed at their eradication, and in hindsight this might one day prove to have been a dangerous oversight. The Laotian military could have realistically engaged in a joint coordinated campaign with their Vietnamese Cold War counterparts to stamp out this threat once and for all, but for whatever reason, this either didn’t occur or wasn’t carried out comprehensively enough. The end of the Cold War and the full restoration of ties with the US in 1992 might have lulled the Laotian establishment into a false sense of ease, whereby they may have been led to believe that this ethnic variable would never again be used to destabilize their country. For the most part, that seemed to be the case, and the Hmong issue apparently receded into the background of bilateral relations and looked to be getting ready for permanent dormancy. That suddenly changed in 2007 when the Hmong threat unexpectedly catapulted to the forefront of global headlines after former rebel leader and CIA asset Vang Pao and his collaborators were arrested in the US for conspiring to illegally obtain automatic and heavy weaponry in order to overthrow the Laotian government. He was eventually acquitted of all charges, but the case raised serious questions about the motivations of competing American security agencies and whether the US still aspired to use the Hmong to destabilize Laos. It’s an unconfirmed possibility that part of the funding for this operation might have come from some of the hundreds of thousands of Hmong immigrants in the US and their wide array of charities and NGOs, which if ever proven to be true, would then make these ethnic activist organizations and their patrons the strategic equivalent of the “Islamic charity” terrorist-funding fronts that have proliferated the Western world. About the arrest itself, the author proposes the believable explanation that the CIA was assisting Vang Pao for this forthcoming power grab but had kept their plans so secretly compartmentalized that other American security agencies such as the Bureau for Alcohol, Tobacco, and Firearms were totally unaware of this plot. They somehow caught wind of the conspirator’s plans to illegal procure the large amount of firearms and explosives required for their operation and went public with their arrests in order to show off their investigative competency at foiling such a movie-like scheme. Unbeknownst to them, the entire crime that they had exposed was orchestrated by the CIA, which obviously didn’t inform any other agencies of its activities owing to their highly classified and internationally sensitive nature. To evoke a clichéd metaphor, “the left hand didn’t know what the right hand was doing”. 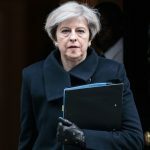 Embarrassed, yet with the cat publicly out of the bag, the US was forced to go through the lengthy motions of the “justice system” in order to reach an internationally recognized and ‘uncontroversial’ prearranged acquittal. Whether it was the case that Vang Pao’s coup plot was a secret CIA mission or a “privately organized” endeavor, the military-mercenary network that was involved in the scheme largely remained intact, along with the regime change intent of using Hmong fighters to overthrow the Laotian government. The US government’s acquittal of Pao and his conspirators gave off the obvious impression that their actions were legally accepted and that the authorities are willing to turn a convenient blind eye to any forthcoming activities (as well as guarantee that there are no more clumsy and embarrassing blunders between its security services). In what doesn’t look at all to be a coincidence, an expert from Council on Foreign Relations, in an article republished by The Diplomat, links the outbreak of “bandit” violence in late 2015 and the bombing deaths of the two Chinese citizens at the end of January to what he believes to be Hmong insurgents, which most likely is the case. After all, the attacks took place in Xaysomboun Province, which is where the scattered bands of armed Hmong still operate and had traditionally been based during the CIA’s “Secret War”. It’s predictable that this group is connected with Vang Pao’s coup conspiracy and is currently receiving American support (whether directly provided by the CIA, funneled through Hmong “charities” and “NGOs”, and/or indirectly received via the region’s drug gangs), with the obvious implication being that violence will be ramped up if Vientiane doesn’t comply with the US’ CCC dictates. Of note, any large-scale outbreak of Hmong-led warfare could also have immediate consequences for Vietnam, so Washington might either be planning to apply a more urgent lever of pressure against its tacit “ally” or setting up the Machiavellian front for a Vietnamese intervention that would be aimed at establishing control over the ASEAN Silk Road (which will be described at the very end of the Laotian research). The last Unconventional Warfare variables that could potentially come into play in Laos are those related to drug gangs and mercenaries, which are sometimes one and t he same entity. Laos is part of the “Golden Triangle” of opium trafficking in Southeast Asia and directly abuts the rebel-controlled areas of Myanmar, thus putting it at the forefront of drug- and weapons-smuggling activity. The military ostensibly keeps everything under control, but in a country as economically destitute as Laos, corruption is thought to be rife, which in turn means that the establishment authorities cannot be fully depended on to fight back against these scourges and might even be partaking in these activities to varying extents out of profitable self-interest. Differing degrees of institutional complicity in the drug and weapons trade complicate any political decision that might be imposed from above in cracking down on these enterprises and could even engender some mild pushback depending on the seniority of the individuals involved in these rackets and how much they have to lose from the oncoming crackdown. Even taking aside the connection that members of the military and government probably have with criminal organizations, these destabilizing non-state actors undoubtedly have some element of local civilian support within Laos that facilitates their activities. Collaborating locals predictably have more loyalty to the non-state actors that more thoroughly provide for their physical means than the state-affiliated ones that don’t, thereby presenting yet another potential opportunity for the “environmental NGOs” to seize in producing more anti-government resistance, especially if the government carries through with a crackdown on the illegal organizations that consequently affects the livelihood on which certain communities have come to depend. 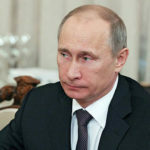 Expanding on this insight, such groups, if coopted by a foreign intelligence service or directly operating as a front on their behalf, could serve as the necessary vehicle for transporting the weapons and other types of material support that the “environmental NGOs” promise their rural anti-government partners. In this projected hierarchy, the NGO employees are the managing overseers whereas the random drug and weapon riffraff are the on-the-ground conduits for carrying out the deals that their more publicly presentable counterparts agree to, with both occupying an equally important role in organizing the planned Hybrid War. The last destabilization possibility facing Laos is a military coup against the government instigated by the domestic pressures related to the aforementioned Hybrid War scenarios. The military is the most important institution in Laos and is the whole reason why the state is able to continue functioning in its present format. There’s no available information about its loyalty, but considering the full-spectrum ‘toolkit’ that the US often employs in its regime change operations, it’s foreseeable that this institution will at some point be approached or influenced to accede to Washington’s anti-government vision. In such an eventuality, military support for the initiative could take either an active or passive form. Concerning the first, the military could “revolt” against the government and throw its weight behind the “protesters” and rebels (the Color Revolution and Unconventional Warfare participants, respectively), helping them to make a concerted move at overthrowing the authorities and most likely getting rid of the communist party while they’re at it. In this scenario, it wouldn’t necessarily be all of the military that takes part, but rather just the units that are tied with top-ranking and co-opted influential officials. These traitors could possibly be linked with the lucrative drug trade or the speculative one in arming Myanmar’s rebels, and the US could either buy off their loyalty with cash (possibly facilitated using the “environmental NGOs”) or promise them power in the post-conflict governing formation. The second way in which the military could assist the regime change movement is more passive. Instead of actively going out and assisting in the government’s overthrow, strategic units affiliated with the aforementioned category of compromised military leaders could simply refuse to follow the authorities’ orders to disperse nascent Color Revolution “protests” or responding to unequivocal terrorist and insurgent activity in the urban and rural areas. They could also just step aside whenever these movements make a march on the capital and start to loot the buildings where governing organs and authorities are located. Other than receiving a relatively handsome payoff for their betrayal, the military leaders involved in this described scenario might want to foster a positive and “neutral” image of their institution so that it doesn’t lose any power in the forthcoming national reformatting, which would likely do away with the communist party and probably lead to some form of identity federalism. The final situational factor to be discussed when analyzing Laos’ Hybrid War vulnerabilities is the potential for a Vietnamese anti-Hmong military intervention. Hanoi is suspected of having discreetly maintained a limited troop presence in Laos following its 1989 internationally publicized withdrawal. If such a presence exists, then it’s definitely per a secret understanding with Vientiane but not large enough to the extent that it can easily and convincingly be exposed by Western businessmen and “environmental NGO” workers active in the country. Per the scenario that will be described, Laos-based Hmong insurgents become strong enough that they pose a real danger for Vietnam, particularly in the sense that their weapons and fighters might spill over the border and lead to a similar outbreak of identity violence in the northern Hmong-populated regions. This in turn could also encourage other ethnic minorities such as the Khmer Krom and Degar to stage similar uprisings, especially if they get their hands on the available weaponry streaming in from Laos. If some labor representatives get armed and decide to organize a “workers’ rights” disturbance, then the prospective provocation could set the stage for a Color Revolution outbreak inside the country. It’s for these described reasons why a CIA-supported Hmong uprising in Laos poses such a dire threat to Vietnam’s stability, and accordingly, could create the motivational conditions where Hanoi decides to stage a cross-border intervention to squash the problem once and for all. 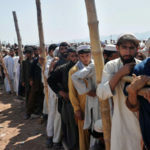 More likely than not, they’d be invited to do so by their allied Laotian counterparts, but if they decided to act unilaterally, then it would be entirely on the pretenses of undermining their neighbor and possibly carrying out a regime change against what by then could be assumed to be a hostile state. Hanoi might be upset by Vientiane’s inefficiency in dealing with the insurgents and be perturbed by its refusal to ask for “allied” assistance, which in Vietnam’s view would have prevented the crisis from proportionately growing to the point where it presents a transnational danger. However it happens, whether by invite or invasion and whether as an American-inspired “Reverse Brzezinski” trap or a coordinated Washington-Hanoi “Lead From Behind” power play, the Vietnamese military would enter Laos with the intent of carrying out a few primary objectives that their speculated in-country force is not capable of achieving. Vietnam would have forecast that such a move would make the global headlines, and it would do its utmost best to send a forceful “deterrent” message to China. In practice, this would see the Vietnamese military carrying out coordinated joint operational attacks interweaving conventional military troops, special forces, helicopter raids, and bombing runs. The Western international community would probably be completely against this, even if Vietnam was formally invited into the country by the Laotian government, but Hanoi is such an indispensable partner to the TPP and the US’ Pacific unipolar ambitions that there would probably be no tangible consequences (unless the US had purposefully tempted Vietnam into Laos as a form of asymmetrical punishment for its unlikely demur in intensifying its CCC commitment). Once inside its neighbor’s territory, Vietnam would aspire to gain control even more control over the operational area than the Laotian military has and then use its predominant position as a springboard for either forcibly or ‘diplomatically’ advancing its troops into the area of the ASEAN Silk Road. The ultimate goal that Hanoi would be moving towards in any prospective military intervention in Laos and which would make even the most unexpected circumstantial shortcomings worth it would be to establish direct control over China’s ASEAN Silk Road and absolutely neutralize the multipolar function of this transregional access route. On the other hand, there are a couple very negative contingencies that could occur which neither Vietnam nor its assumed American ally might anticipate or be prepared to deal with. 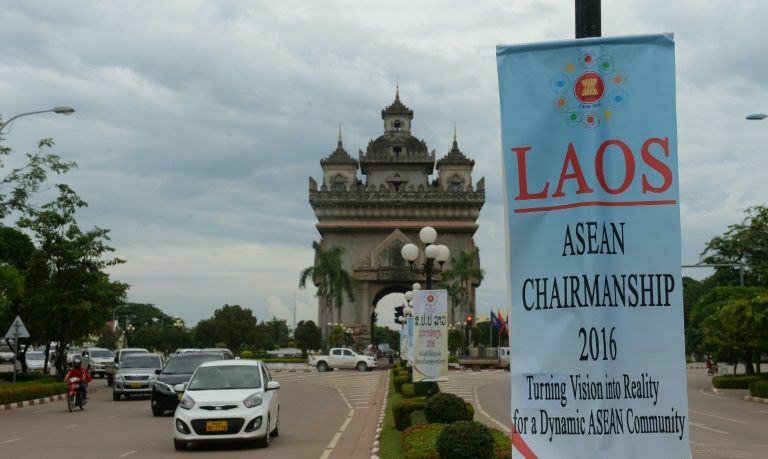 For starters, China could call upon its 2015 defense policy white paper in justifying the dispatch of military forces abroad to Laos in securing its ultra-strategic ASEAN Silk Road asset. In this case, Beijing would try to do everything it can to be formally invited to do so by Vientiane, but if what might then be a moderately pro-unipolar government (albeit naive in a Gaddafi-esque way) which doesn’t allow such a force deployment, then Beijing might unilaterally find other plausible justifications for this decision, foreseeably on national security grounds or the defense of railroad-working Chinese nationals from insurgent attack. A counter or preemptive intervention on China’s behalf would prevent Vietnam from acquiring control over the ASEAN Silk Road and would essentially split Laos into two separate military zones, with Vietnam likely gaining hold of the entire northeast and southern portions of the country. Another thing that could happen, either together with this particular scenario or separate from it, could be an unanticipated ethnic-unifying nationalist uprising against the Vietnamese (modelled off of the Cambodian experience from 1978-1989 except without the US and Thai military support) and possibly even against the authorities that may have invited them. Finally, the last forecasted possibility that might happen is that the military stages a pro-sovereignty coup against the pro-Hanoi government that invited Vietnam into the country and helps to safeguard the country’s sovereignty and China’s strategic assets from unipolar seizure.